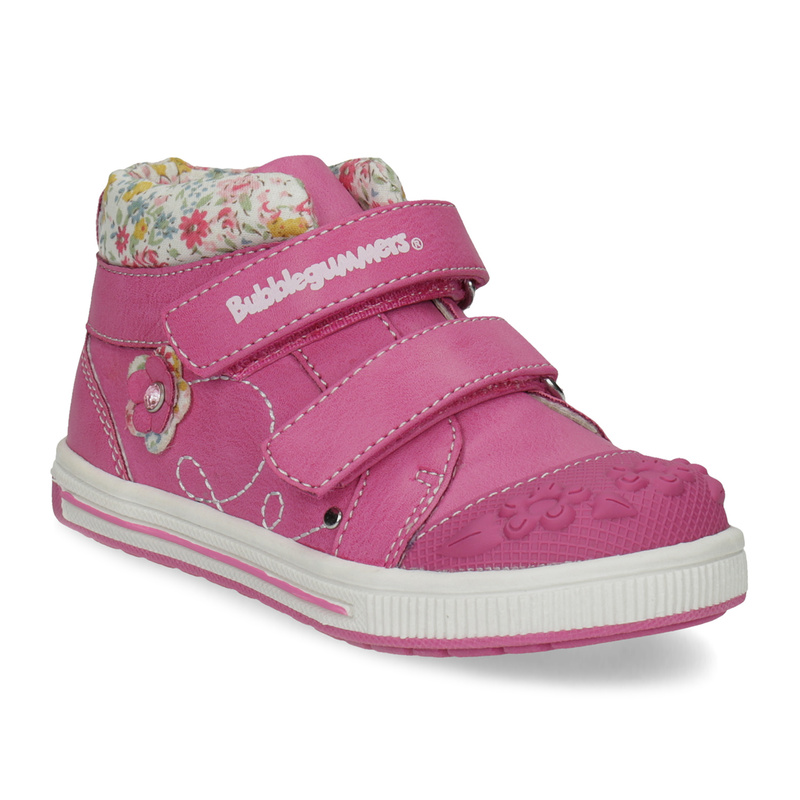 These stylish Bubblegummers girls' ankle boots have a pink top - decorated with distinctive stitching and flower-like applications that blend with the pattern around the hem. 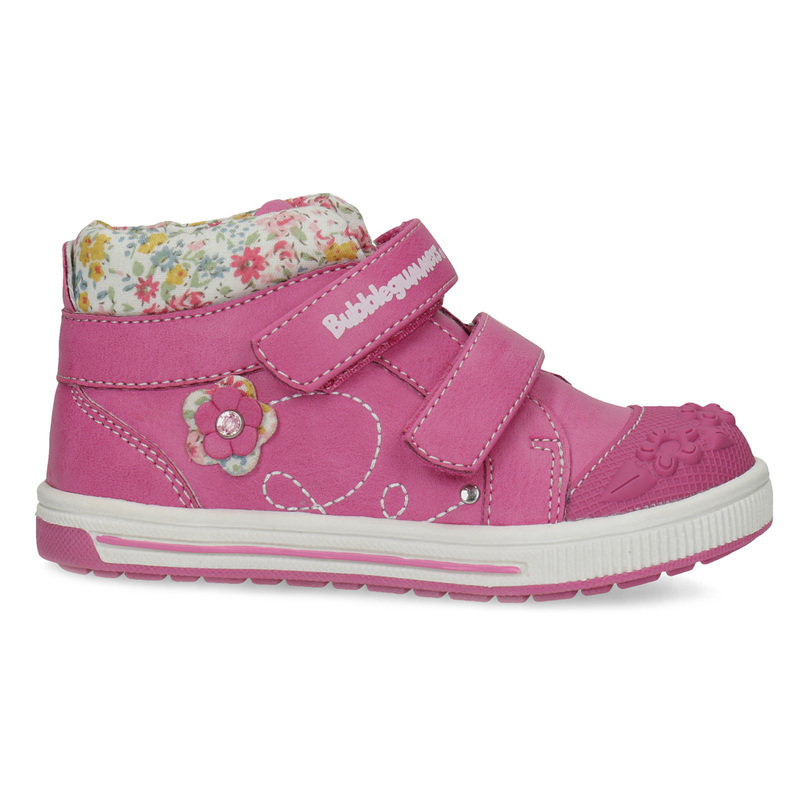 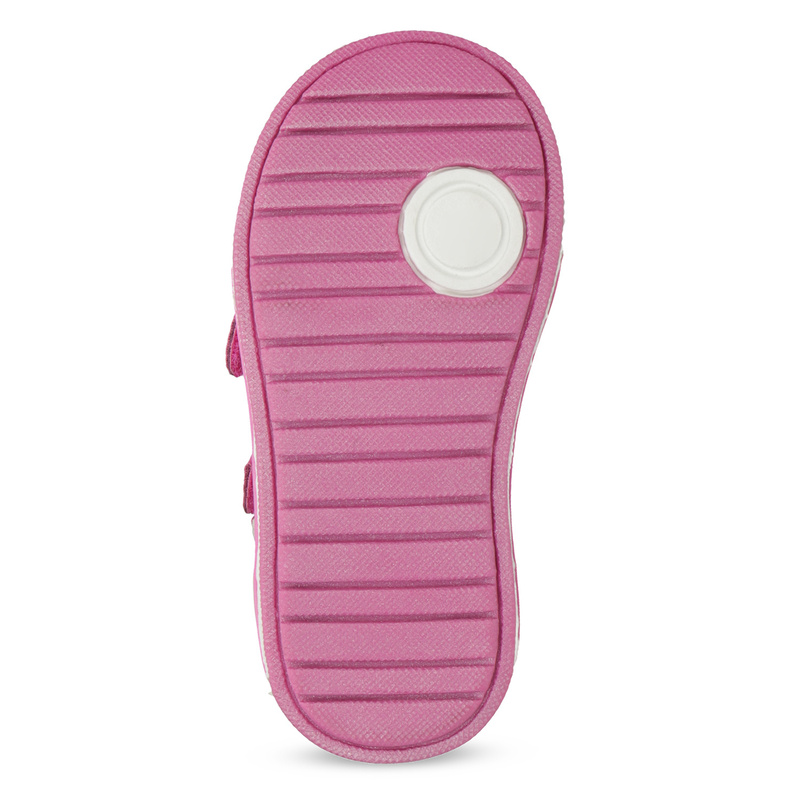 The reinforced tip protects the toes and the comfortable sole absorbs shock under the heel. 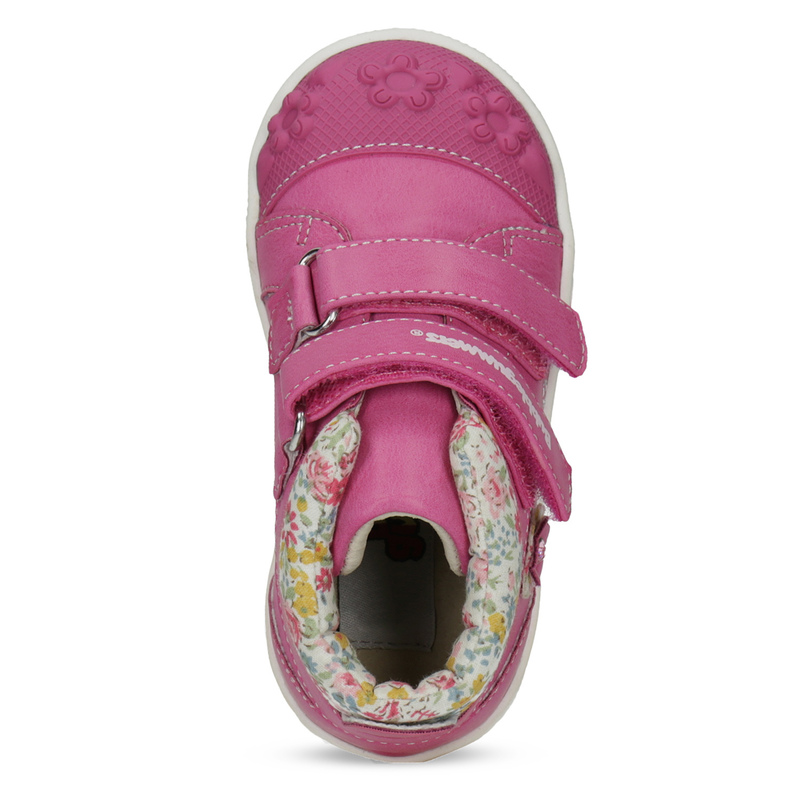 The lacing is complemented on the side by practical Velcro to make putting them on easy. 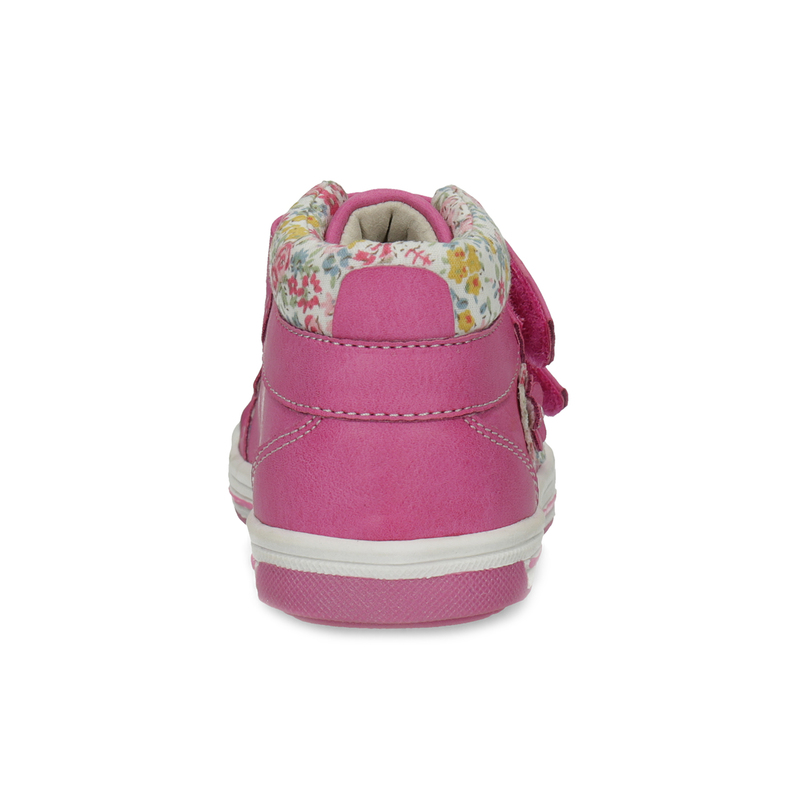 The ideal model for the littlest feet.